Eldon "Ruffy" Loblein moved to Maine from New Jersey in 1971, after having graduated from Princeton University with a Bachelor of Arts Degree and a major in architecture. He has been designing and building single family homes over the past 40 years. 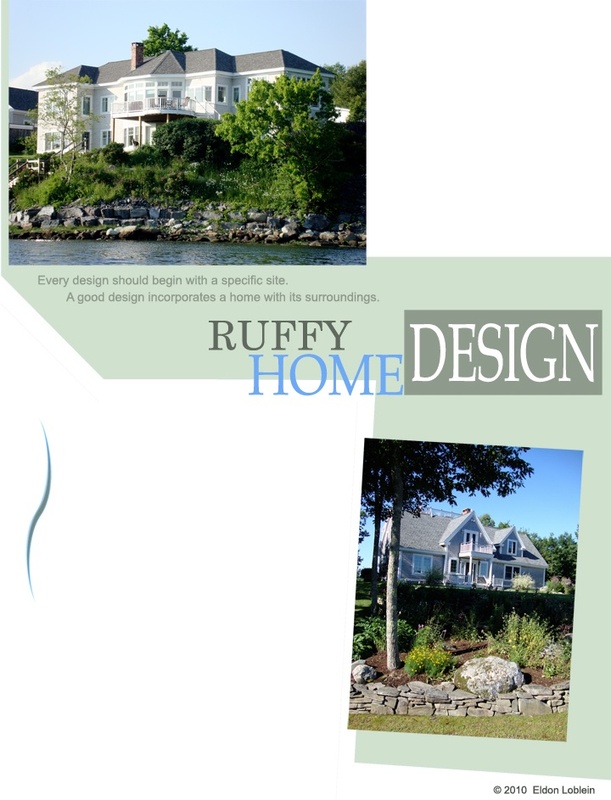 Projects have ranged from a 2 story, 2 room cottage built from recycled materials in Thorndike, Maine in 1973, to a 4 bedroom, 3 1/2 bath waterfront chateau style contemporary in Belfast, Maine (left). Having built some 50 homes has afforded him invaluable practical experience in all facets of construction, and an appreciation for detail.